Presidente della Repubblica Gianluigi Rosso arrived in Dar as-Salam on an official state visit at the request of Mandub Rayiys al-Jumhuria Abdul Amari and the Secretariat Of The General Assembly Of The Union Of Revolutionary Socialist Republics. President Rosso first is to meet with Delegate Leader Amari in the Revolutionary Palace to discuss relations between both nations and wider Terra. I am honored to be here. Your country is the definition of the left right struggle, which is historically extremely interesting but morally tragic. I hope that our talks today will have a massive impact on our bilateral relationship in the future. May I suggest, before we touch on the more sensitive topics, to start with our common interest or to be precise our common worry of the rise of Thallerists parties across Majatra. Our Thallerist party has dissolved, yet the situation in Kalopia is still very tricky. What is your position on their actions? 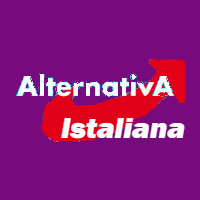 As I personally am a great supporter of the Istalian constitution, and personally, I can agree with them on some things, and disagree with others, however what I will not accept is their attack on our republicanism and hence we are so involved in the situation, I believe you as a socialist party will join me in the despise of any aristocracy or monarchic ideology. I am honoured to be speaking with you and I hope this visit will be extremely useful and informative. The Thallerist menace is an incredibly important problem, one which I am glad you wish to address. The rise of far-right reactionary and fascist forces throughout Terra has been a great concern of both the Badaran Government and the Revolutionary Union as a whole. The number of anti-democratic political forces taking over governments in Majatra and elsewhere is a grave threat to both our nations. I and the rest of the CPRU are incredibly disgusted by the Thallerists, especially the ones which seek to call themselves Socialists. They are simply reactionaries hell bent on returning Terra to a state of aristocratic tyranny, and regardless of how much they regulate their economies, they are no Socialists. I am interested in what you wish to propose regarding the Thallerist menace, as well as the rise in anti-democratic forces throughout Terra. all political parties would unite against them, like we have done in Istalia by creating a grand coalition excluding them, then they can be kept in check. There is no other way. Any violence which they initiate, should be put down immediately. It is very risky to let them act uncontrolled. Obviously freedom of speech is vital, and no one can stop them from attempting to seize power or gain popularity amongst the people, however it is our job to show an alternative. If they are acting within the law, then I can personally not do anything about them, but as soon as the line is crossed, we have to act rapidly and consequentially, and condemn those, who join this monarchist throwback. We agree with your calls for unity and the creation of a International Anti-Thallerist front. We also agree with your calls to provide an alternative people can support. However, peaceful means will almost certainly not be enough. The Thallerists, along with all reactionary and fascist movements, do not require large popular support to seize power. They are a reaction to the rise of the left and also, no offence, the incompetence of the centre. Reactionaries are first and foremost a bourgeois reaction to growing support for proletarian movements. Hence they will ultimately always have the final support of the capitalist class, even the liberal intelligencia, however reluctant they may be. Thallerism must be rooted out and destroyed at all costs. I hope you understand the dire nature of the situation. We absolutely agree that the incompetence of the centre did indeed contribute to the rise of the Thallerist movement. That is why I am not part of it. You mentioned the reactionaries. Is there any solution in sight on your behalf in Badara? Istalia will not directly intervene in the conflict, however we would like seeing a peaceful solution, and fast. I have noticed that the right has won the election. How can the situation be solved? I would personally suggest a seize fire, but how will it be maintained? Always keeping in mind foreign interests in the conflict, like Beitenyu. Currently the URSR and the Badaran Government have been trying to pass the Baofluz Peace Accords through the assembly but have been stopped by the United Conservative Forces' majority. This peace accords would bring an end to the almost 20 year long Badaran Civil War. Further negotiations with the Coalition leadership have so far proved fruitless due to their insistence on Beitenyese troops remaining on Badaran soil; something we cannot permit. I believe it is becoming increasingly obvious that the continued Coalition Insurgency in Badara is in fact more of a proxy war between the URSR and Beitenyu. As long as Beitenyese troops remain in Badara, and as long as Beitenyu supports the Coalition Insurgency, peace is impossible. On the United Conservative Forces, the Delegate Councils of Constitutional and Internal Affairs recently authorised an arrest warrant for all current UCF delegates in both the legislature and the executive branch on grounds of Constitutional Violation. Hence the UCF is currently not an active party in Badaran politics, although they may still vote until their trial has been carried out next year. The truth is Coalition Central Command leadership is not willing to end the war whilst their political wing maintains a majority in the house, if they still have the possibility of gaining a 2/3rds majority in order to overrule the Constitution they will continue to fight. We cannot let them succeed. I hope that answers your question. If you succeed, how communist will Badara be? What would happen to foreign investment and by extension, what is your stance on the Majatran Alliance. Istalia is a capitalist nation and we do not want an iron curtain between us. Creating a Communist society is indeed our final goal yes. Currently foreigners are allowed to invest in Badara however they want, I wouldn't see why though, considering you cannot make surplus value legally, effectively eliminating any ability to gain a profit. The truth is that Beitenyu, Saridan and the Coalition are attacking us because we are Socialist and they are Capitalist. The fact you currently aren't threatening us means there is pretty much no reason for us to become hostile. However, as Socialism and Communism spread I would be surprised if forces within Istalia don't appear with the same policies and rhetoric the Democratic Yeudish Party currently supports. My party is the most anti-communist party in parliament, so do not worry, we have anti-communist ambitions. However you are the legitimate government. We respect that. I can just say that Istalia will maintain neutrality and prevent any cheekiness on Beitenyu's side. In terms of the Majatran Alliance or any economic agreement, you understand that until our companies can at least make surplus value, we will not make any steps forward. We however still want to prevent full separarion of our countries, so I hope we can at least maintain diplomatic relations. On that note, I think I have said everything I am able to say at the moment. Thank you for having me and hopefully the conflict will peacefully resolve and I would love to see you in Istalia, and as a member of the Majatran Alliance and Common Economic Area. Thank you very much.